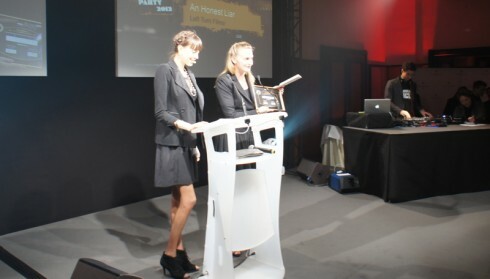 The MIPDoc International Pitch: The USA’s Left Turn Films won with “An Honest Liar”. 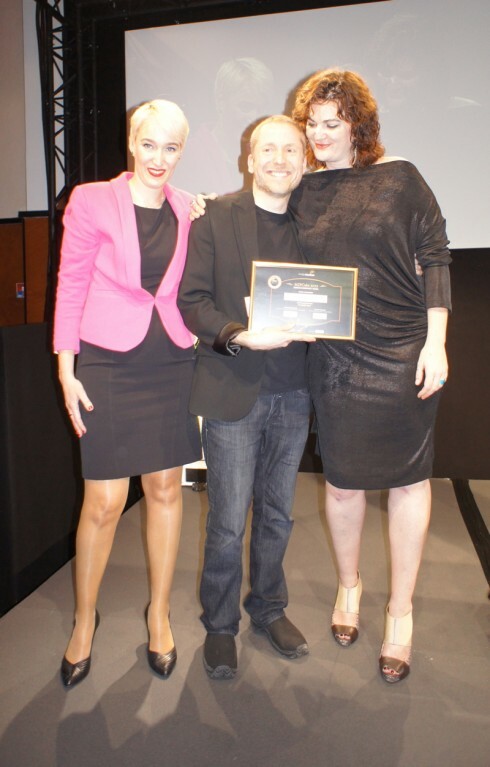 Hostesses Rebecca Leffler (The Hollywood Reporter) and Anne de Kerckhove of Reed MIDEM spread the good news in their absence. 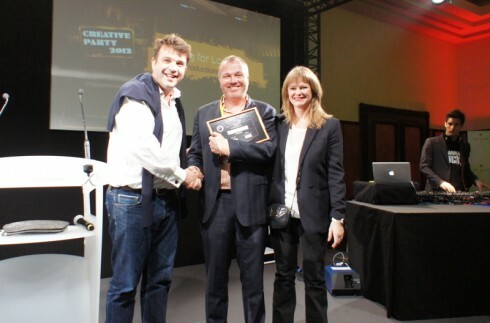 The MIPFormats Pitch: Warner Bros.’ Andrew Zein gave the prize to Stuart Coxe of Antica Productions for “Looking for Love.” Lucy Smith of Reed MIDEM (right) also congratulated him. Content 360/MSN Viral Video Category: Tom Jenkins, from The Connected TV Set, who won with “Crash Test Dummies”, posed with Geoff Sutton of MSN and Ted Baracos of Reed MIDEM. 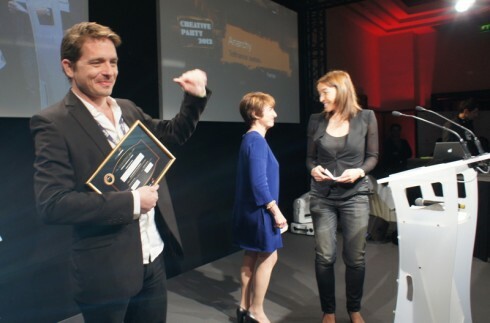 Content 360/Transmedia category: Benjamin Faivre, from TelFrance Series, won for his “Anarchy” project. 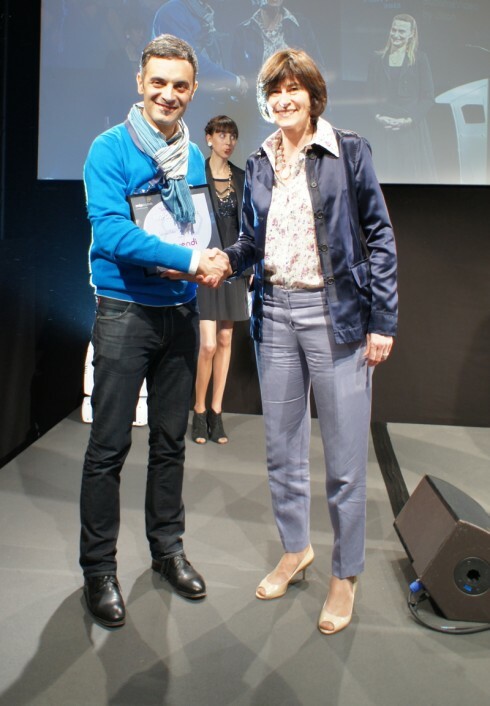 He accepted the prize from Fabienne Fourquet of Canal+. 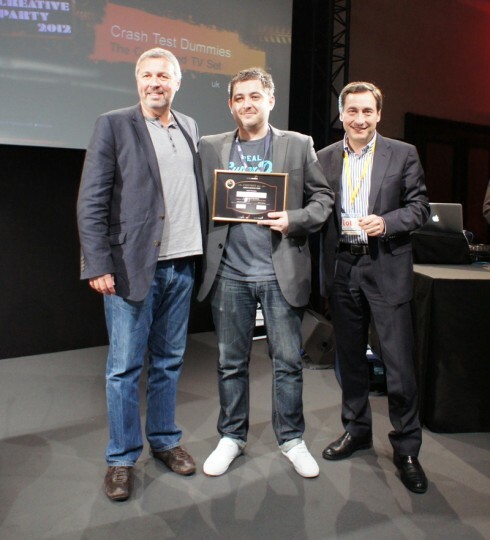 MIPCube Lab: Medhi Jacques Aminian (left) won both the Vivendi Coup de Coeur and the main prize for SublimeVideo by Jilion. He accepted the Vivendi prize from Sandrine Dufour. The main prize was awarded by Dr. Ralph Eric Kunz of Catagonia Capital & Consulting. TV Hack Day: Aral Balkan (centre) won for his Grab Magic! application, who posed with Sarah Hemar (left) and Louisa Heinrich of Fjord. 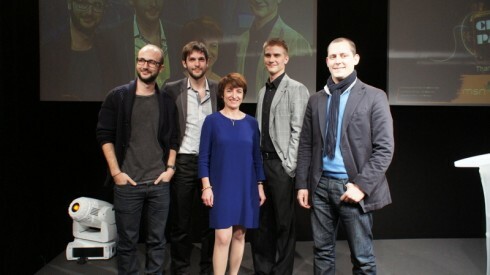 MIPTV New Producers to Watch: The evening also honoured Harry Tordjman of Myboxprod, Micho Marquis-Rose of Zieuter.tv, Pauli Kopu of KLOK, and Olmo Figueredo Gonzalez-Quevedo of La Claqueta, posing with Laurine Garaude of Reed MIDEM (centre). These four young talents will notably be the stars of MIPTV’s Producers Hub from tomorrow.